From the 25.09. 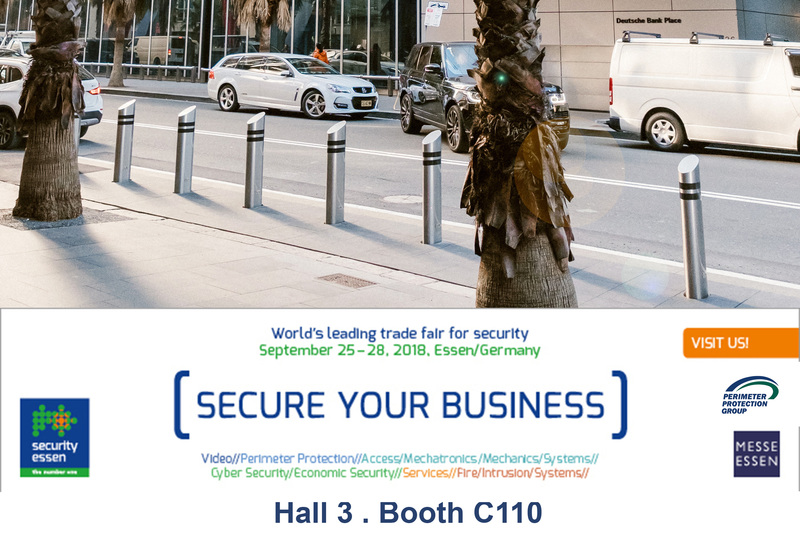 – 28.09.2018 the Security 2018, leading fair for civil security takes place in Essen, Germany. Of course, PPG is part of the party. Perimeter Protection Group is looking back at more than 65 years of experience in dealing with sensitive High Security projects all around the globe. Our portfolio includes crash rated High Security products such as crash gates, wedge barriers, bollards and road blockers. We are also experts in Access control products. Our state-of-the-art products are made in Germany under strict quality control and meet the highest quality standards worldwide! Our main theme at the exhibition will be “Securing Inner Cities” with High Security counter-terrorism products. Cost-effective shallow mounted fixed or removable bollards as street furniture, which are ideally suited for inner city surroundings: PPG has completed its product portfolio with the revolutionary vehicle impact tested Safetyflex spring steel bollard systems Carstopper 30, Truckstopper 6-30 and Truckstopper 7-40 which can be used as modern street furniture. These decorative bollards impress by their unique capability to absorb large amounts of energy by acting as a torsion spring, lateral translation spring and lateral bending spring upon impact. Furthermore, the Slimline design paired with a shallow installation depth of only 200 millimeters reduces the need to re-divert utilities. They come along with aesthetically pleasing shroud options in round, oval or rectangular shape. Due to their discreet but sophisticated design, these decorative bollards perfectly fit inner city surroundings. Visual appearance of a security concept in public areas is an important factor that should be noted. Visually deterrent concepts are not wanted here as they create feelings of constantly present threats and ultimately create further fear. 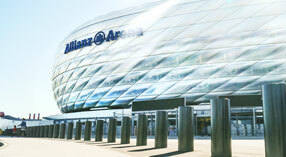 Furthermore, PPG is presenting the brand-new, innovative EntraSteel® steel sliding gate. This new gate excels through extremely smooth running and minimal gate extension resulting in comparably low transport costs and reduced space requirements onsite. PPG is looking forward to your visit at booth no. C110 in hall 3.